I was surfing around on the Internet and came across directions for this origami necktie -- the perfect accessory for all those Father's Day shirt cards. I was trying to figure out how to make a tutorial that would be easy to follow and I decided to try video. Please comment and let me know what you think. Great video! Thanks a bunch!!! Thank you so much for making this cute card so easy to replicate! The video was a great idea. This is awesome!!! I could not figure out the directions when someone posted typed out. Thank you Thank you!! 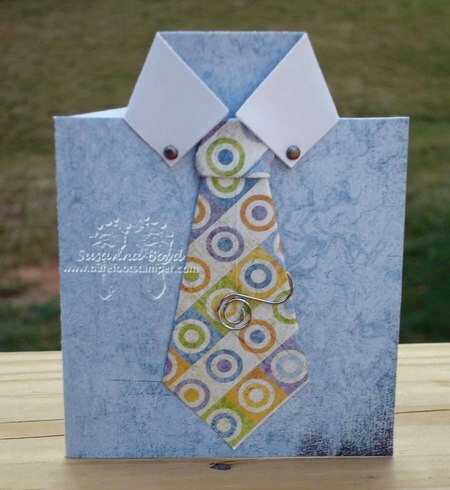 I enjoy reading your blog, seeing your beautiful creations, and now you've made it super easy for everyone to make this cute shirt/necktie combo for father's day. Thanks for doing what you do - you rock! Wow - this is great. I love the video - it is so clear & easy to follow the directions! I'm going to help the girls at our "Stamping 6" do this project Tomorrow. Thanks so much! The video is great - what an awesome idea! Especially loved the technical term, "squiggly business". Thank you! Very cool! Thanks so much for sharing it! Awesome video!! (and your accent is so cute! LOL!). And here I was thinking that I could NEVER do a card like that. Now I want to give it a try! P.S. Hope it's okay that I linked to your awesome blog from my blog. Please let me know if that's not cool. Great video! Love it!!! And so simple to understand. Thanks! Do you know how to make a shirt with the sleeves? If so, can you please email me directions on how to make one of those? Thanks and thanks for the excellent video. Love the tie!!! I'm off to go try it myself. This is what I have been looking for to make that special Father's Day card!!! Thanks so much and great idea doing the video. It helps to see it step by step! Just saw the video and idea which are great! Also spares some space for the child to personalize it. awesome! this is such a good idea. nice birthday invitation inspiration for my son turning 21. It's good for graduations too -- make the shirt dark blue and use a dollar for the tie! Cool! Thanks for posting this tutorial. I'm gonna try this at home for my kids. Oh thank you! 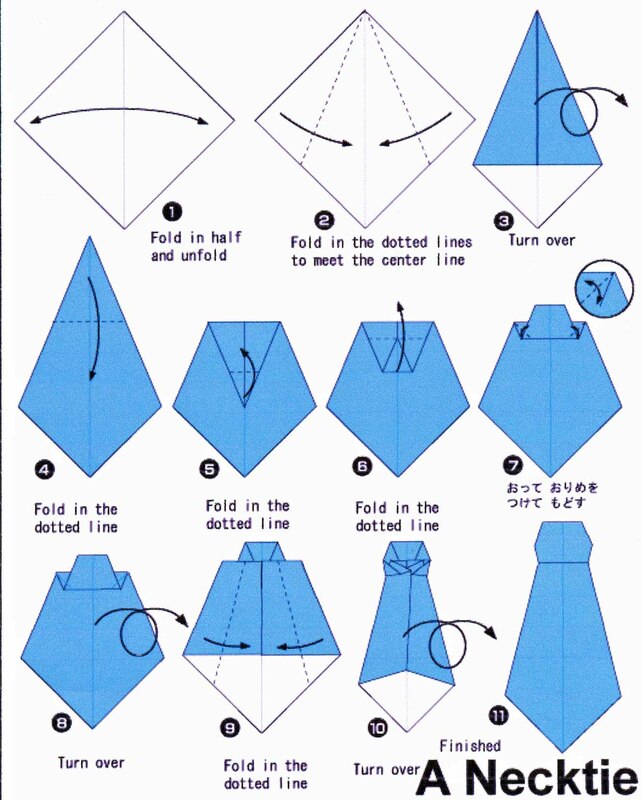 I could not figure out the directions written out - origami is hard! Super cute! and way easier than some others I have seen! Thanks for the inspiration! Love this Father's Day card. You explained it so well. I better get busy to make a few. TFS. What a great tutorial. I made three in a very short time. Excellent instructions!! I had been searching for how to videos on YouTube for neck tie origami and found this video! THAT YOU! I adore this card and made it for myself today...I even added pockets! Can't wait to give it to my father-in-law tomorrow for Father's Day! Thanks for the inspiration! it was very helpfull and my dad loved it thank you so much/.........god bless...>!!! !